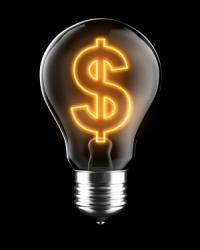 Apartment energy savings can be huge when it comes to heating and lighting. • Change the regular light bulbs to compact florescent bulbs. They have a higher initial cost but last longer and use less energy. Remember to dispose of them properly when they burn out; they contain mercury. • Use dimmers on regular lights when possible. • During the day, open window shades, blinds and curtains to let in natural light rather than turning on lights in the apartment. • Light some candles (but never leave them unattended). • Turn off lights and heating when not in use or before you leave the apartment! Do not heat rooms not in use and you will save on average € 231 , - per year. Save an average of € 41 , - per year by turning the thermostate to 15C in the evening an hour before bedtime. Two minutes less shower will mean a saving of € 80 , - on energy and water bills by an average family. Just including these simple steps in your day-to-day life can make a big difference when it comes to the bottom line on your electric bill. You can also feel good about the fact that you are living a more environmentally friendly lifestyle.